PoPville » It’s Confirmed! The Folks behind Marvin Coming to 3815 Georgia Ave! It’s Confirmed! The Folks behind Marvin Coming to 3815 Georgia Ave! DSCN1406, originally uploaded by Prince of Petworth. 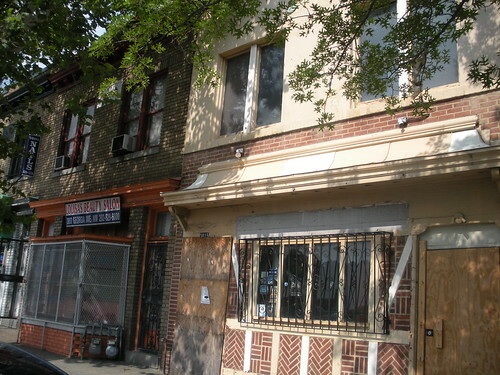 Continuing with our good news trend for Monday morning – I’ve received confirmation from Chris Donatelli of Donatelli Development that the deal has been signed for the folks behind Marvin and Gibson (on 14th St. just north of U) to come to Petworth on Georgia Ave. They will be coming to the space that formerly housed the historic Billy Simpson’s House of Seafood. We first learned about this possibility back in February but given the way the economy has been going I’m super psyched that this deal has been finalized. I think it says a lot about the future of Georgia Ave. So more about the spot – Construction should begin immediately and the spot to be named later hopes to open in 6 months. The eventual name and theme of the space will pay homage to Billy Simpson’s and its historic significance. There will be outdoor seating by way of a patio in the rear according to Donatelli. This is a joint venture between Donatelli and Mosiac Urban Partners.